Yasuoka is Fukuda Shinta's assistant for his series Kiyoshi Knight. He helps Fukuda come up with ideas, and for every good idea he comes up with Fukuda says he will pay Yasuoka 3000 yen. He and Fukuda get along well. 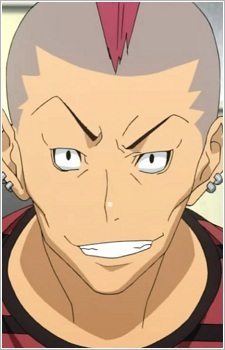 He is a young man with a red mohawk and ear peircings. He is very excitable and motivated, and is constantly moving.